Chapungu coach John Nyikadzino says they are ready for Dynamos whom they were paired with for the Chibuku Super Cup semi-finals. 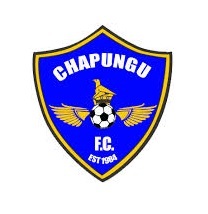 Chapungu made an embarrassment of high-flying Chicken Inn, whom they beat 5-4 on penalties on Saturday following a 1-1 regulation time stalemate. Chicken Inn were favourites and expected to roll past the airmen who however held their nerves to lead through Tineyi Chitora, before Ishmael Lawe restored parity for Chicken Inn before the shoot-outs. Nyikadzino said the Chicken Inn feat is now history but they will draw confidence from it. “When you are in a Cup competition you have to be ready for any team. You do not know whom you will be drawn with so it is important to gear up for any opponents,” Nyikadzino said. “We are now facing Dynamos and to me it is not a surprise draw. We were expecting to play any one of the teams that qualified for the semifinals. "We will just try to prepare well for Dynamos and hopefully we will do well against them. We are playing a big team and such games motivate players.